Still she did her best and loved me in her own way. I will be forever grateful to her, for so many things, but primarily for giving me character and backbone. 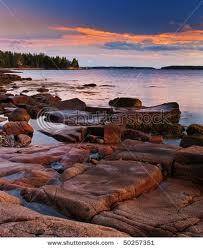 There was that one time in particular in Gloucester along that rocky coastline I love so much. I was out playing on an outcropping of rock. I was daring myself to go out further and further. Now, if you know anything about the seaweed and algae that grows along the surface of the rocks, you will know from the first moment you set foot on it, that it is as slippery as grease. My mother called to me to go no further out. 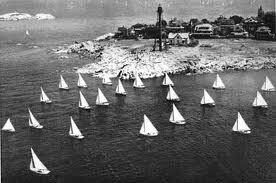 I was of a mindset to push the envelope on this particular day, so I hesitated, and then continued in disobedience further out toward the sea. She called again, this time adding a warning of dire consequences if I failed to heed her instructions. I glanced back but again forged on ahead pretending not to hear. Once more she called out, and then muttered a few choice words, enough to make me stop dead in my tracks. Still, I was at a good distance from her, and there was nothing she could do. So I pressed on. Unbeknownst to me, she was now making her way out toward me, when I my feet met a slippery patch of algae. In an instant I found myself on my back with the wind knocked out of my lungs. And in another instant she was there to rescue me, to hold me, to ask if I were ok. I recovered enough wind to say I was OK. I think I cried a little. She half carried me back to safer solid ground. What she did then, what she said then made the moment indelibly etched in my mind. I think of this moment often when I think of the Incarnation. We know right from wrong. We know the rules. But we cannot help but push the envelope from time to time. We venture away from God thinking we know better. God calls us to return through his appointed messengers, through prophets and sages in every time. Again and again he calls us to return. Again and again we remove ourselves from God. In the fullness of time, the Word becomes Flesh and comes to us on the rocks, and is always there in a moment of distress especially when we find ourselves flat on our backs with the wind knocked out of our lungs. God embraces us, forgives us, and loves us. We may shed a tear or two, and God wipes those tears away. What God does then and says then indelibly marks us for life with a learning we’ll never forget. This is Christmas. This is the Incarnation. This is the Word made Flesh. God is not a philosophical construct. We have four clear snapshots of God’s appearance. Those snapshots are called Matthew, Mark, Luke and John. Through them we see Jesus, the eternally begotten of the Father, God from God, Light from Light, true God from true God. This is Christmas. Love came down at Christmas. God runs out onto the rocks to save us from whatever disobedience we come up with. Then God turns around within us and asks us to go and do likewise. Now that you’ve got your own act together, ha, at least to the extent that you’ve managed to accept any measure of salvation, go on and extend your arms to those others you love who are going out too far into their own rocky ways. 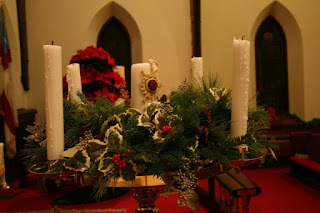 We pray with the Collect of the Day that the Light of God’s Incarnate Word may so shine forth in our lives, that we may have the courage and the imagination to embrace someone we care about in our lives with the loving embrace of God; with God’s love, God’s forgiveness and God’s reconciling power. We live in a dark and dangerous world. When Isaiah spoke to the nation in today’s lesson, he was speaking to a people in exile and in the throes of oppression. Pick your darkness. Pick your danger. We live in a violent nation. We live in an economy where the haves have more and more and the rest of us have less and less. We are reaching a rather dim awareness of the use of fossil fuels and their role in global climate change. The very ideas of Social Responsibility, Justice, Peace and the goodness of God are set aside for more selfish motivations. Much of the world of faith has forgotten that it was for the sake of sinners that Jesus lived and died. Those of us who believe in the unconditional love of God for all, the universal forgiveness of Christ’s gift on the Cross for everyone, and the presence of the Holy Spirit within every human heart are actually quite few in number. It is as though, living this way where God is God, Jesus is the Christ and the Holy Spirit is the Captain of my soul, I then radiate the light of The Triune Power of God with transforming Grace; Grace not just for me but for all those around me. I want to waken to life. This is what the Gospel teaches all who will listen. Wakefulness and preparation for the coming of God is based on our repentance; a willingness to turn to Jesus and keep our eyes fixed on him as we navigate our way through the craggy coastline of life. He is the true compass point. He teaches us right from wrong, that knowledge of the truth will set us free, and that as we live like Christ, we live with the kind of character that is built on the truth that lies within. This is why Episcopalians are not afraid of science. Science helps us mark the channels along the coast. Scientists are prophets who can tell us where the dangers are. Geologists can tell us of the dangers and the limits of carbon activity. Astronomers can tell us about the beginnings of the universe. Archeologists can tell us of the epochs of earth’s history. Naturalists can tell us of Evolution and the Origins of The Species. Many scientists have been priests. 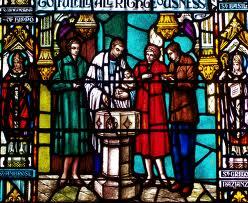 Darwin, himself, was a child of an Anglican Priest. Scientific truth is no threat to faith. 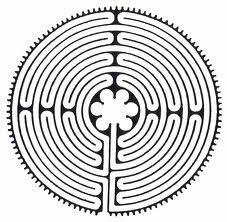 It is part and parcel of the chart and compass we need to find our way through the very real dangers we face in life. Jesus was not afraid of the truth. It was he that said the truth will set us free. (John 8: 32) Jesus rejoiced in the truth. 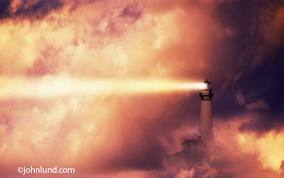 Living like Jesus is like living in the Light of God. To do so is to live a life of such joyous radiance that we cannot help but beam with the brightness of God. My mom still took me out on the rocks to play. I loved the beaches, the waves, the surf, the adventures of life. And I learned its rules. I learned that water, like fire, can be a dangerous and villainous foe, as well as a wonderful friend and companion. And now I know how to be there for others who have fallen, how to embrace them, comfort and guide them to the living Christ who will then wipe away all their tears. I also know how to respect the truth. The reply; “You divert your course 15 degrees to the South to avoid collision”. Captain: “This is a captain of a US Naval vessel; I repeat you divert your course. “Wake up and die right”. What a curious expression. God knows where it comes from. But for now this I know; life comes and goes all too quickly; so while we have it, let us waken to God’s joy and shine with God’s brightness and be sober and watchful for the rocks. In the Christian Calendar it is Holy Innocents Day. It is a day that recognizes the time when a paranoid Herod ordered the execution of children under the age of two years old in the vicinity of Bethlehem. That was a long time ago. More recently, more and more guns have been getting into the hands of more and more deranged persons. Increasingly the American public asks what can be done. The NRA recommends more guns. Many of us question the wisdom of that position. Holy Innocents Day seems like a fitting occasion to support a campaign to respond to the intransigence of the gun lobby. 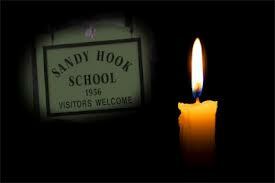 The voices of the little ones at Sandy Hook cry out for a voice to speak up on their behalf. We must be their voice now. It's not just Sandy Hook, but Columbine, and the Firemen ambushed on Christmas Eve and the thousands upon thousands of other who are taken from us every year. Assault rifles are especially a threat to those of us who gather peaceably in our schools, our churches, shopping centers, and movie theaters. The ban on assault rifles has expired. There is no mandate for background checks for firearms purchases at gun shows, mail order or by private parties. Anybody can get a gun. It is said that this is because of the sacred place of the Second Amendment in the Bill of Rights. But the Declaration of Independence speaks more convincingly of those "Inalienable Rights" for all American citizens; that among them are the right to "life, liberty and the pursuit of happiness". Those who defend the second amendment, gloss over the much more basic right to life. In comparing the two, I will declare this; the right of those children in Sandy Hook to life trumps the right of the rest of us to bear arms, without some kind of regulation. The way out of our dilemma is in the Second Amendment itself. The operative phrase in the Amendment is this; "A well regulated militia". Most nations regulate weapons possession, and in western civilizations these regulations manage to keep violent deaths down into the hundreds. Here in the United States the rate is much higher and the death toll much dearer. Imagine, more than 10,000 per year! Is there nothing we can do? Given the intransigence and uncompromising nature of the folks at the NRA and many who are members of the gun lobby, we must get up the gumption, and work up the courage to speak up to them in sufficient numbers, and with a sustained and well organized, well funded effort to counter the veto power they seem to carry, much like the weapons they bear. It will be a very difficult battle. We have no such weapons, except social media. But as we have seen in the Arab Spring and in the recent elections, social media can play a decisive role in the development of social policy. Some efforts have begun. The Brady Campaign and Mayors Against Illegal Guns among them. Pick one. Join one. More efforts like this will need to combine to match the vast power and enormous financing of the NRA and the gun manufacturers. But this time we must not roll over and play dead. We must not be tepid in our advocacy. The voices of those children in Newtown scream out for us to protect them. These precious Holy Innocents shall not have died in vain. Good, peaceable, decent citizens, must speak up. I do not recommend a ban on weapons. Given the Second Amendment, none of us can. Rather I would approach the problem much like we approach the challenge all other security matters present to us. We must have birth certificates to establish our place in any organized society. International accord requires us to carry passports to travel from country to country. In order to drive a car or fly in a plane, there must be a license to drive and a picture ID, and the cars we drive must be registered. Pilots and planes must also undergo strict regulation. It is from the presence of the automobile that we can take our inspiration to defend the public against illegal gun possession. In the 1970's there were as many as 70,000 deaths a year on the nation's highways. Be began to "buckle down" on driving behaviors and regulations. We required people to wear seat belts. There was resistance, but eventually there was compliance. We instituted crash tests, installed air bags and cracked down on drunk driving. The net result of these and other efforts have resulted in reducing highway fatalities to around 30,000 per year. Will we ever eliminate the death toll on the highways? Not likely. But we can and have saved thousands upon thousands of lives. Can we make the streets safer? Obviously we can. I do not argue to eliminate the right of my fellow citizens to own weapons. We have the right to defend ourselves and hunt and enjoy the sport of shooting. Few of my fellow citizens would argue that we should disarm the population. That is not the issue. The issue is the operative phrase in the Second Amendment. a license for all gun owners. Felons, and those deemed a danger to themselves, their families and others shall be denied a license until a court of law shall rule that the danger is passed and proper safeguards have been instituted. a national database for the above information in order to provide law enforcement with the tools that would assist in the prompt apprehension of offenders. Some firearms are too dangerous for public possession. Assault rifles should be banned outright or given only to those with a license to possess them. This license should be of a much higher level and an ordinary one. Much like a CDL is given only to certain drivers who operate large trucks, those who have heavier weapons much persuade the courts and law enforcement that they should have such weapons. Obviously the debate on gun control will rage on. These are just a few thoughts from a parish priest who has seen too much to let another day go by without speaking up. Too many of my fellow citizens have paid too high a price. I can be silent no longer. Neither can you. This time we have no choice. We must go head to head with the NRA. Call your elected representatives now. The dreaded question, for a priest. Maureen Dowd cites the wisdom of another priest, called to the side of a friend, at a time of death. Published on Christmas Day in The New York Times, it is an honest statement of human and priestly integrity. You can read it here. When I was a boy 8 years old. Good Friday when I was a boy. Why do you call this day "Good"? The man on the cross. A surprise answer if ever there is one! I'm afraid my faith must rest on that for a while. How beautiful the church is on Christmas Eve. You’ve outdone yourselves. I remember at Easter thinking how much I’d love to see this place at Christmas, but of course we all gave a dismissive chuckle to that notion. Who knew! 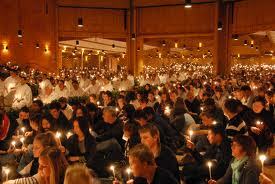 But here we are gathered in this sacred and holy place once again to hear the message of the angels. “Peace on Earth and Goodwill to ALL”. What a wonderful and timely message. Timely and timeless at the very same time! “Christmas!”, I said imagining what the old stone church would look like decorated in greens, poinsettias, a creche, and lit by candlelight. “How in the world did you know?” said he. 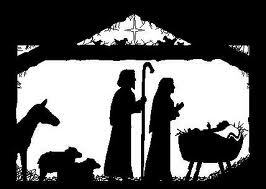 It is the night of the Incarnation of God. Emmanuel. God with us. And the whole Christian world, bows to this holy night with awe, reverence, and a profound and affectionate love. Many there are who travel the world around in search of the holy. In one of the better movies I’ve seen this year, “The Way” with Martin Sheen, there is the story of a man, who, after the untimely death of his son, goes to Spain to walk the “Camino de Santiago”. It is a fine movie. After much soul searching this rather secular businessman and golfer discovers that there really is something holy within him. His heart learns of the healing touch that comes from a close encounter with his traveling companions and with the living God whom he discovers in their midst. More recently, Cindy and I saw “The Life of Pi”; another pilgrimage of a sort in which a young Indian boy and a ferocious tiger share a life boat after a shipwreck and the boy discovers God in ever deepening discoveries of the life within himself and his encounter with the tiger. I’ve been to the Holy Land twice and walked in the footsteps of Jesus, Moses, and so many others written about in holy scripture. I took a bus load of high school students. What we learned together! What goodness I’ve experienced in these pilgrimages. There is something about all these journeys filled with their own spiritual intentionality that has the potential to bring us into a close encounter with the Living God, or that sense that within us something very holy resides. Your journeys to Kanuga, the Cathedral, to the annual “Shackathon” or to “Crop Walk” are all of a piece. They are instances where we might discover God walking with us. But whether your quest for God takes you far away to distant lands and different cultures, or whether that journey takes you deep within your own heart, what we always come to discover is that God has been with us all the way. This is especially true when we come to do battle with doubt, despair, danger and evil. We didn’t have to travel far away to find it. It has been here all the while. That fact becomes clear to us on Christmas Eve, I think, in a way no other time of year can do, no other festival quite celebrates. Christmas brings with it a a joy and a wonder that brings both a smile and a tear to the same countenance. The radiant light that comes from a child in a manger evokes profound responses when we think of the journeys we’ve been taking throughout our lives. “The hopes and fears of all the years are met in Thee tonight”, Phillips Brooks, that great Boston preacher wrote one night when he was on pilgrimage in Bethlehem. All my joys and all my sorrows are reflected in the face of the Baby. This year, of course, we are reminded of the Holy Innocents. Herod in a pique of paranoia ordered the killing of the male children under the age of two in Bethlehem when the Wise Men refused to tell him where to find this Baby King. More children, in recent weeks have been taken from us at the hands of yet another deranged mind. Every day in America inner city neighborhoods we must undergo similar heartaches. And the Holy Child requires me to remember that right now. It will take courage to speak up for the children who now have no voice. Our own children are vulnerable in a dangerous world. I do hope and pray that you and I will speak up for them. There will be plenty of time for that in the New Year. For now, the Baby also wants my heart to sing with the music of Christmas. Not only is our church beautiful, it is also filled with such lovely music. The music brings to my soul a tearful smile when I greet Christmas, but I wouldn’t have it any other way. This is why I love Christmas so. 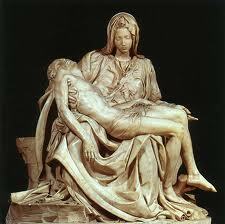 What more precious gift can there be but to see the sleeping Jesus in his cradle? Or the smiles and laughter of our own children, or the beaming faces of their proud parents, grandparents and friends? How refreshingly joyful it is to see our annual Christmas pageant. How precious are these children! In the luminous night a star shines down from heaven, and our hearts and the whole world over are filled with this amazing music. Shepherds quake to see this sight. Kings and Wise Men go to the manger and discover there by the cradle, where the cattle are lowing, even as the world stands dark and cold; this Child radiates a profoundly bright warmth. The Love of God made flesh and blood in that Holy Child comes down to dwell among and within us at Christmas. Jesus is God-with-us; our “Emmanuel”. Not only is God with us in the flesh and blood of Jesus, but in the flesh and blood of all those who love the Child. Those of you with the courage and the imagination to enfold him in your hearts may also begin to radiate his warmth. This is the challenge of Christmas. Do you have the courage to create like God creates? Can you join Jesus in saving a fallen world? Can you discover the inner Way to make holy everything your life touches? Christmas is a season of hope. We end one difficult year and soon we begin another. Living into Christmas and living into a New Year will take courage, creativity, and eagerness to bless and defend our children. We are here tonight in this very beautiful, sacred and holy place, as millions are doing around the world hour by hour. I extend to you my prayers for all the blessings of Christmas. How wonderful that we can share this moment together. In the immortal words of one who knew what is means to discover God in the here and now; “God bless us every one”. Seventy years ago we were a very small and poor country church. Our priest was a fellow by the name of Thomas Smythe and he had responsibility for three congregations; at Birdsboro, Morgantown and here in Douglassville. Once a month he came here for Communion for the morning service. 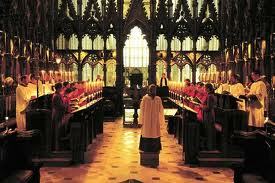 On the other Sundays we had Evensong at 7:30pm. Esther Shelley, Ruth Weidner and I shared a good chuckle when Louise Temple said; “It sounds like politics”. The Biblical narrative often speaks up for the poor. No doubt you’ll remember that Jesus announced his ministry in the Synagogue with the words from the prophet Isaiah; “I have come to bring good news to the poor”. (Luke 4:18) That sounds clear to me. We see both Mary and Jesus in the homes, the streets and villages of ancient Galilee where they made these ancient pronouncements. Around them huddle the poor and the sick and the outcast. He brought them good news, a healing touch, and a place to call home in the heart of God. We read from the prophet Micah who says; Bethlehem of Ephratha, you are just one of the smaller clans of Judah, and of little account and yet from such an obscure place there would come a mighty savior. (Micah 5) He spoke autobiographically, in part; since he too, compared to the other prophets like Isaiah, was of little account. It was, let me remind you, a time of terrible distress. The people would live in captivity yet again, this time taken away into the jaws of oppression by a foreign power. It seems that the history of God’s people is one that often finds itself in periods of distress. Still the prophet says that there will be a woman in labor and she shall bring forth a child and he will be great. He will be mighty. The people will live again in security. his reign will extend to the ends of the earth and he shall be the one who will bring peace. This is the great biblical hope which we all treasure in our hearts. It is worth listening to the prophet and to Mary and it is worth embracing their words. For the fact is, that as jarringly out of place as the gospel may seem to be when confronted with present historic reality, it is nonetheless true. And as urgent as it was to read the prophet’s words then at a time of calamity, so too now in the midst of this world’s darkness these words and these hopes need once again to shine into our hearts. I will not capitulate or give in to the darkness. Neither will you! God knows it is getting dark, and I’m not referring to the turning of the winter solstice. I am referring to the darkest corners of the human personality. I am referring to our interior illnesses. Disorders of the spirit fill us in some cases to despondency and in extremes to violence. That’s the darkness to which I refer. We’ve seen all too many examples of violence in recent days. Many of us hang on it as if the power of darkness can draw us in and keep us there. Yet I refuse to give in to it. I don’t care how dark it gets. The darkness and the joy are very close together. It just depends on which way you turn to look. It is a matter of orientation, if I may use the word in its root sense. In the ancient church, when a candidate was brought to the font for Baptism, she or he first would face to the west where the darkened sky lurked not just “out there” but “in here”. The catechumen declared; “I renounce you”, as if there were a reality to the dimension of evil; as if the evil one actually had a living force within. The candidate, however young or old, renounced the darkness three times. Then he or she would turn to the east, to the brilliant light of the rising sun, and then accept Jesus as the way and the truth and the life. For to these Christians, Jesus was the Light of the world, just as he said he was. (John 8:12) Yes, this is the way to live. In the light of forgiveness and eternal life, in the light of Christ’s reconciling love. I know it is dark all around us and deep within as well. We don’t have to look far to see sin. The media are filled with the only doctrine we can proove. Sin. I can prove that doctrine of the church for you easily. Watch the news and read the papers. All the other Church doctrine must be taken on faith. However, the more I’m drawn into that darkness the more I give in to its power, the more likely I will become its child. 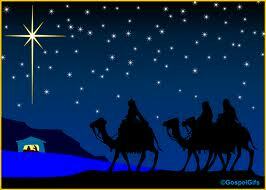 In my mind’s eye I see Mary and Joseph and the donkey making their way to Bethlehem. It is dark. They were filled with Advent expectation. He is coming, but what will that mean? Only time will tell. The darkness into which they travelled was however, brightened we’re told, by a star. You and I watch them as they travel along, and how we want to reassure them that he will be the Wonderful Counsellor, The Mighty God, The Everlasting Father, and the Prince of Peace. It will be OK. 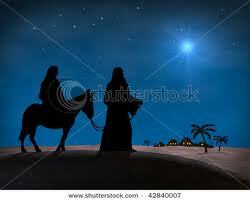 But for now they must merely travel on trusting that the star they follow will indeed lead the way toward God. They had no way of knowing that. But we do. As dark as the world seemed to that frightened and vulnerable family, you and I know with the benefit of hindsight how mightily God would act on their behalf. Now you and I must walk in that same dark world and we too will follow the star that shines over our cities, towns and lives that seem of little account. I will not capitulate to the darkness. Neither will you. I will follow the star. And the star of my life is Jesus. In my baptism, I renounce that way of life that leads to darkness and insist on turning to that light which is in Christ Jesus our Lord. There you are, the Light of the world makes it all so clear. Walk in the Light of Jesus! 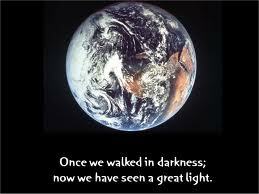 Walking in the light when so much of the world walks in darkness is risky business. But when we build communities of faith and build them strong, and when we join hands with others to strengthen the common bonds of humanity through which that light may shine, we can vanquish the darkness, or at least banish it to its isolated corners where it belongs. This is why we study our scriptures. Every week. This is why we read, mark, learn and inwardly digest them. It is to keep our eyes fixed on the Light of Christ, so that no matter what darkness we must confront, we know that God is with us. We have come a long way from Evensong to Eucharist. Now, every Sunday, we may come to the Holy Table and receive the Savior’s Light and Life. Thus may the light of Jesus shine in and through us this day and forevermore. Holy Innocents! Is is a very holy day in the Church Calendar and comes only three days after Christmas. This year Holy Innocents came early to folks in Sandy Hook, Connecticut. The day marks the time when Herod called for the death of the children. Herod suffered from paranoia. He feared that Jesus would become King of the Jews. So he ordered the murder of all the male children in Judea under the age of two. 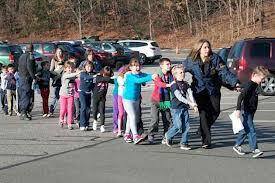 Mental illness struck again just yesterday in Sandy Hook in an elementary school, and left 20 children, 7 adults and the killer all dead. "How can anyone take away our angels?" A Lament is raised to heaven. We join with those who refuse to be consoled. But for now, we weep. 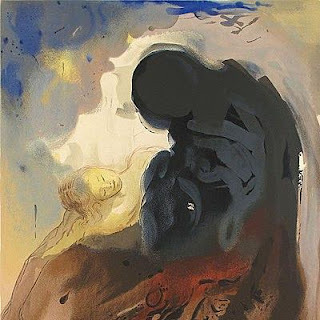 Weeping and loud lamentation to God and to our countrymen. And we keep this day as a Holy Day for our children. There is no consolation for those whose tears drench their homes. There is only this. God knows what it is like to loose a Child. He was born in a Manger in Bethlehem. He brought us hope, healing, forgiveness and eternal life. Again the Powers and Principalities of this present evil did their work. The Holy Innocent was put up on the cross for all of us to see. He changed our lives and so shall these sweet ones. Is there any comfort for us? Mary takes him in her arms. We shall weep, wail and lament. But we shall not despair. These Holy Innocents shall not have died in vain. And when we return, we shall require an answer! There is eternal life and we shall continue our work. In the meantime let there be a blessing of protection on the Children we love. And may God take the angels into his arms and wipe the tears from their faces. And may God take us too in his arms and be with us in our sorrow. And let us all keep Holy Day for these Holy Innocents. Tonight the church was filled with pre-school children and their families. They told the story of a baby born in a stable many years ago. They were thankfully oblivious to the day's events. Their moms and dads also seemed to be preoccupied with being justifiably proud and thrilled to see their children take the parts of Mary, the Angel Gabriel, and the many other angels, Joseph, the sheep, the shepherds and the three Kings. I was quite aware of events in Sandy Hook, and I could not help but think of the vulnerability of these children and all children. We're all vulnerable, no doubt. But these children, as they told the Christmas Story seemed so vulnerable to me. I wanted to bless them and ask a prayer for protection on them tonight. But I had to let that be. They told the story and sang some carols. And the church was filled with Christmas joy and excitement as the parents and grandparents of these children burst with pride. My heart burst with prayer; a prayer of blessing for each child. And a prayer of protection for each child. It was not the right time for me to impose comfort on these children and their families. Afterward, one mom came up to me and asked if I were "Fr Paul". "My son came home and told me he met God at pre-school". She was bursting with laughter. How could I spoil a moment like this with my heartbreak? I knew who she meant. He is an especially delightful child. I have corrected him each time he called me God. "Now," she said; "he thinks you're Father Abraham." The children love the song I teach to help them shake their sillies out. But I am not God and I am certainly not Fr. Abraham. I wish I kew how to protect the children of Sandy Hook, CT and Douglassville, PA as we sometimes imagine God can protect us. Alas even God cannot do that. Only we can protect our children. Perhaps we can have some conversation about that in the months to come and then take some robust action to protect them and the rest of us from these senseless acts of violence. In the meantime, as I sat through the Christmas Story as told by these precious children, all I could do was ask a prayer of blessing and protection for these children and their families. Won't you join me! Every week, at the end of story time, I ask each child to come forward for a blessing. They bound up toward me and smile broadly and often giggle. I make the sign of the cross of their foreheads and say; "God bless you!" Next time, I will say; "May God bless and protect you!" As our hearts break tonight, as we remember the vulnerability of the Christ child in the manger, and the vulnerability of all children and their families, let the tears flow freely. And for tonight let the prayers arise to heaven. "God bless and protect the children". Prayer is being with persons in a way that leads to love, compassion and forgiveness. It is the courage to be reconciled. Prayer is feeding the 5000 and the countless poor. And housing the least of these. 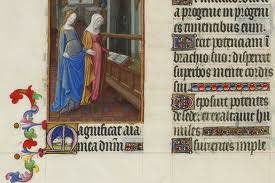 The visitation of those who are sick or in prison. Prayer is Justice among nations and between brothers and sisters. 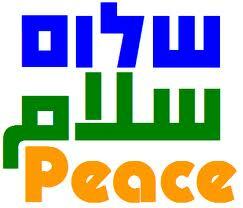 It is Shalom in Jerusalem, Salaam in the West Bank and Peace in Gaza. Jesus is why this is so. He brings Love. Moses is why this is so. He brings us freedom from slavery and a Law to live by. Muhammed is why this is so peace be upon him. He brings us to Allah, the All Merciful. Silent, centered, and perfectly still. Nothing is more foundational to the Constitution of these United States of America that these truths which we hold as self evident. For all of our citizens to enjoy the right to life, we shall all have heath care and a good paying job. For all of our citizens to be free from enslavement to poverty, we shall all have health care and a good paying job. For al or our citizens to pursue happiness we shall all have health care and a good paying job. Notice when we say "ALL" we mean "ALL". Without regard to orientation, gender, race, class, or creed, or no creed at all. 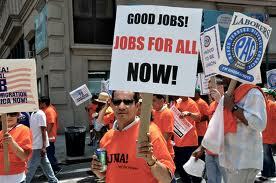 Every citizen who wants to work should have a good paying job with full benefits. And when industry will not provide for these benefits, the public will. To make provision for these rights, there shall be fair taxation. IN NO CASE WILL THE RICH PAY LESS THAN THE POOR, THE WORKING CLASS AND THE MIDDLE CLASS IN PROPORTION TO INCOME. We are making progress on these goals. We now have health care. We now need jobs. You rich and your multinational corporations, bring back our jobs to these shores. You rich, now hear this, you will pay taxes like the rest of us pay. 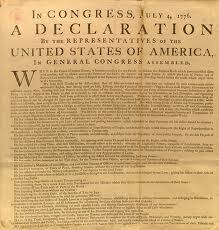 We the People are sovereign and we will not serve you as slaves to consumerism at Walmart and McDonald's. Pony up and pay us like Citizens of these United States of America. Bring our jobs back home!